I think fake tans get a lot of unnecessary bad press these days. Which is disappointing because surely it is better to tan safely than risk skin cancer? 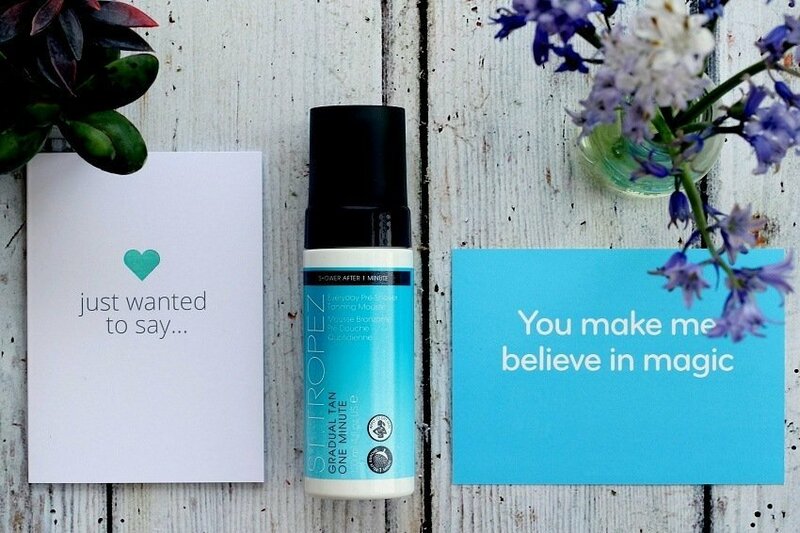 St Tropez was one of the first brands to introduce ‘faux tans’. Now, I do agree no one wants to look orange or smell of that ‘weird tanning scent’. Luckily these days you dont have to. New advances in technology means fake tan products have come along way, so dont write them off before you try would be my advice to you! New advances in technology has helped fake tan products come along way, so dont write them off before you try would be my advice to you! 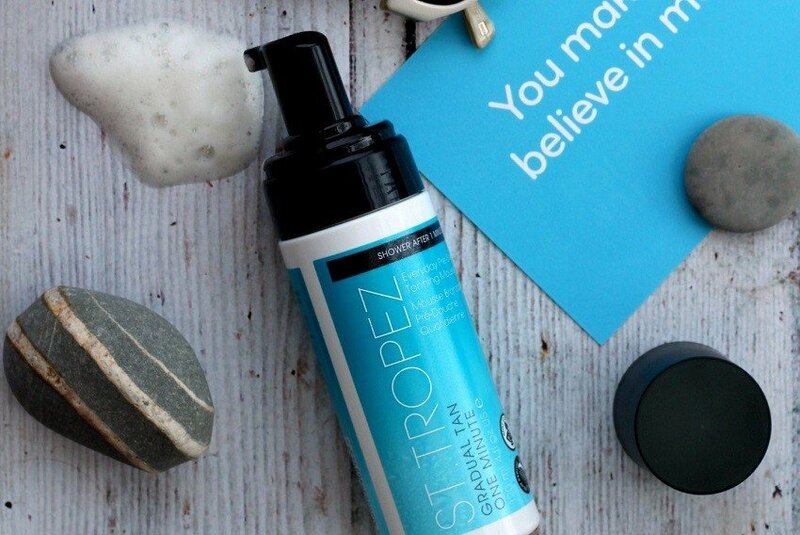 A brand new gradual tanning product from St Tropez. An easy everyday pre shower tanning mousse. I agree that this is St Tropez’ most convenient form of tanning so far. In fact I am a new convert to this one minute marvel. Apply directly to dry skin (like a moisturiser) you dont even need a mit, wait one minute and then shower as normal and dry. If you want a deeper tan, then I suggest you leave it on for slightly longer perhaps 2 mins? 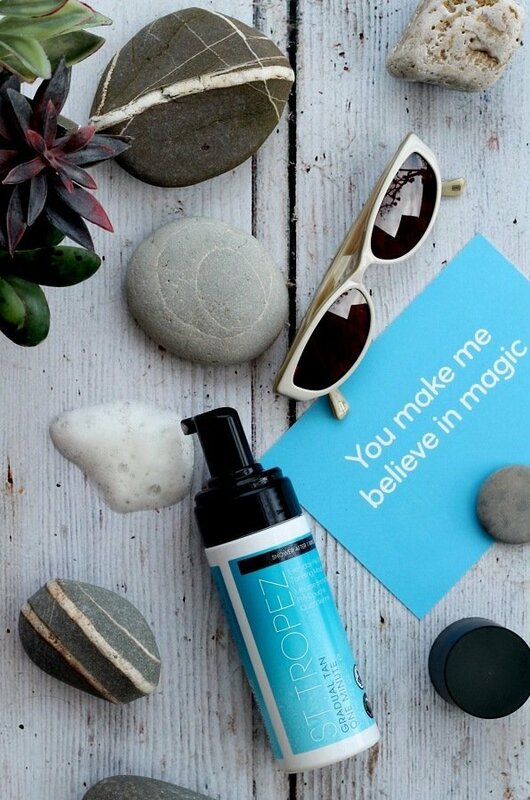 The Benefits of the St Tropez gradual pre shower tan? No strong tan smell, so you can use it day or night. No transfer on to clothes or bed sheets. 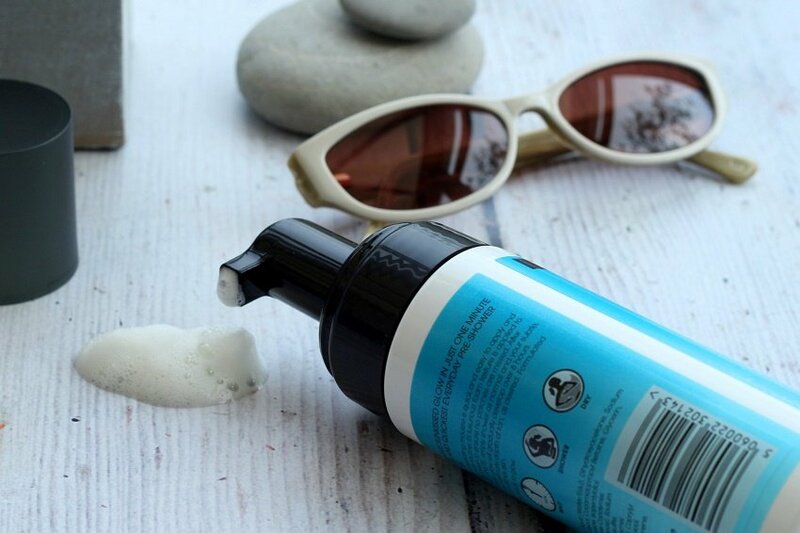 Foam is enriched with Jojoba and vitamin E, so it is very moisturising. How and Where I Applied it & My Verdict. For me its all about my legs, they hardly ever tan and easily burn! Therefore, I used the mousse only on my lower legs because that is where I need colour. Using it over 3 days, was perfect for me, it changed the colour of my legs from milk bottle white to a natural golden glow. I simply rubbed it in with my hands, then jumped in the shower. There was no inconvenient waiting around either because by the time I had finished rubbing it into both my legs, it was time to jump in the shower. Let me add that you must still remember to scrub your hands. I forgot one day and there was the merest hint of tan in between my fingers! There was no smell and no streaks, just a golden glow. I am a now a convert to what I prefer to call safe tanning, I like this very, very much and will be using it in the future…simple safe and fast. One from a couple of weeks ago and one from this week., Not a heavy orange tan in sight. 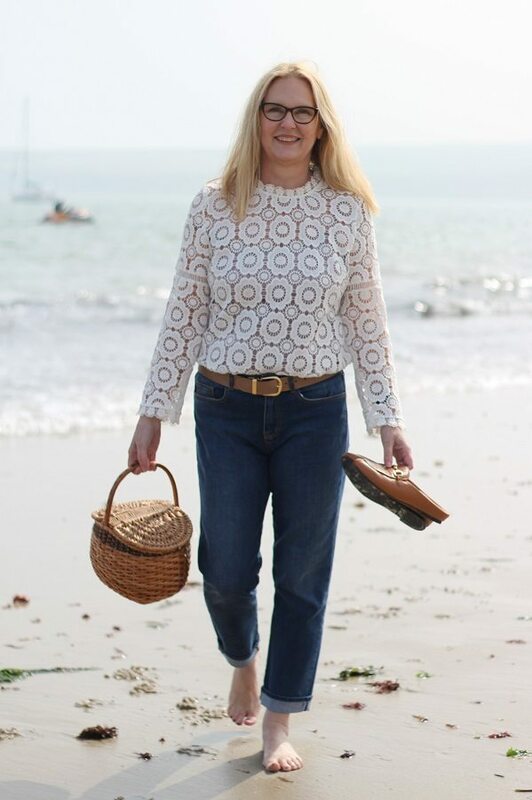 Just a natural glow, a colour that gives me the confidence to get these 54 year old legs out for some summer sunshine! Hey I may even wear shorts! Superdrug and of course also available online. I published a few clips of myself, talking about this product, on my Instagram recently. I’d love for you to subscribe to my Youtube channel too! Wishing you and yours a super weekend! This post was written in collaboration with St Tropez. However, I want you to know that I have just recommended this product to my best friend, thats how much I like it. I will be buying my next bottle! I’ve just ordered mine from Boots Ashley, hope it works well for me too. Ooh I hope so too! I really love mine it is very easy to use and no streaks either! Its the best tanning product I have ever tried! good luck, but do wash your hands asap after applying! Loved seeing the video, it’s given me the confidence to give it a go. I shall be purchasing some today! Glad to hear it Kay! You do still need to wash your hands asap! I love it when you comment on here! I’m going to get this! The proof is in the pudding! Sounds like an easy application too. Hi Laurie its so easy! Thats right Maria no gloves needed but wash your hands asap!